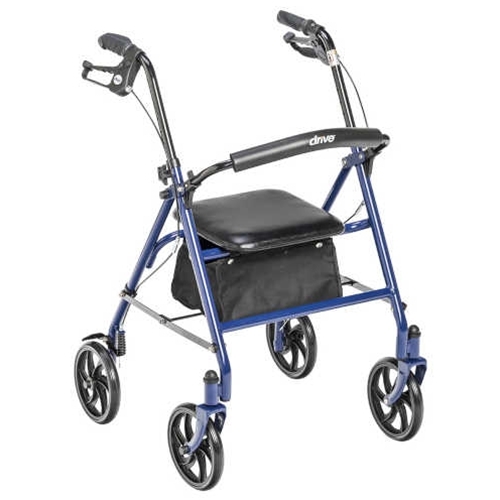 McKesson Durable 4-Wheel Rollator with Fold Up Removable Back from HealthyKin.com features a removable, hinged, padded backrest that can be folded up and down. It also includes a padded seat and a basket to store personal items. The brakes can be pulled normally or pushed down in a locked position. 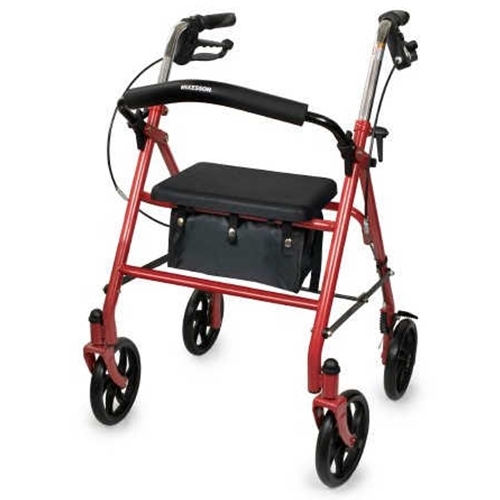 I purchased this for a friend who had her 4-wheel walker stolen, while she was gone to church. I priced them in cataloges for $149.95, when I found this one for 56.95 +9.90 shipping. what a bargin and you should have seen and heard her go on and on about how nice this new one is. Thanks for the bargin, good service, and the great product! The unit was easy to assemble. I use it daily and have had no problems. The quality seems very good. Great price and quick delivery. I bought this walker for my grandmother and she loves it! Her doctor wanted her to have one and her insurance would not cover it. They wanted us to pay around $200 for one. 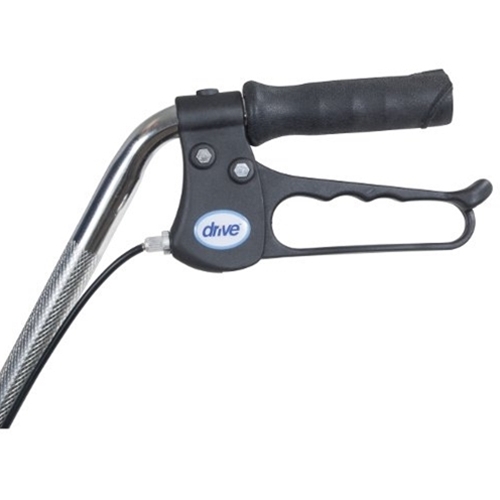 I was very pleased to find such a great product at such an affordable price! I will recommend this product as well as this website to everyone! Super quick delivery, easy to assembly. Works great, easy fold up, fits anywhere. Too small to use,good for 100lb person. I gave it away. What a great product at a great price. I would reccomend this product and Healthy Kin to others who may need them. Quality product as well as superior customer service. Easy to assemble. Came with a broken part and two missing parts. One phone call rectified that, and the parts arrived promptly. Now assembled, it is light, sturdy, and enormously convenient. Great price, works fine and easy to put together.